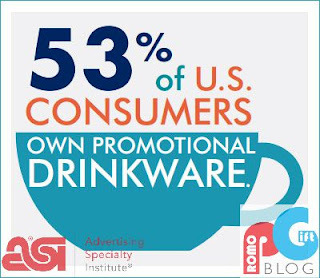 The Advertising Speciality Institute (ASI) have recently published a study finding that U.S Consumers tend to own a lot of drink ware products. There we various results found regarding the area and specific region in the U.S.
First of all this 2016 article reports that over half of the U.S's population, 53% to be exact own promotional drink ware. 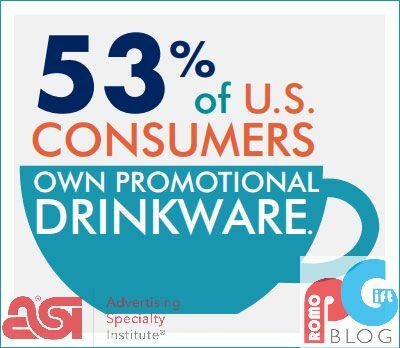 Taking this into account, marketing logoed drink ware in the U.S would be a great chance to promote and boost sales. It is also interesting to note that more than half of the consumers from the Pacific and Western regions of the U.S were more likely to do business with the advertiser on their drink ware. 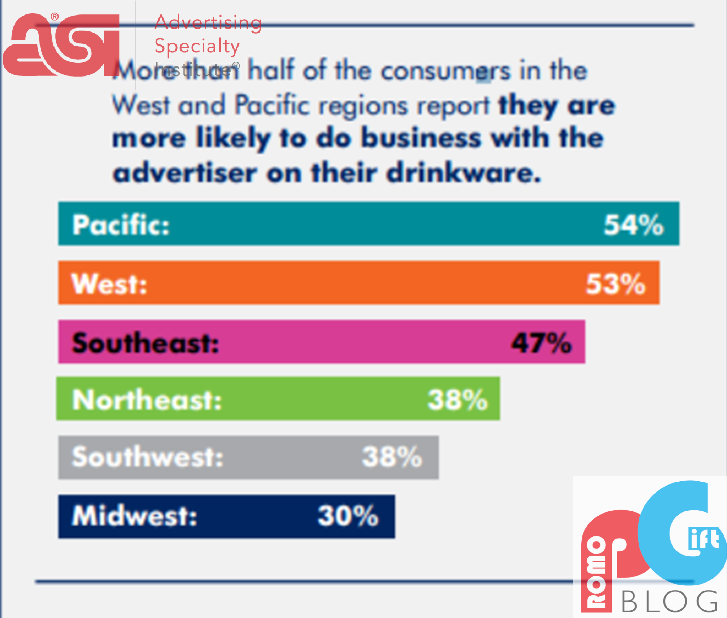 And that's only in those regions, this shows that there is a large potential margin for drink-ware promotions to be successful. If the consumer is more likely to do business with the advertiser it will help in building up a positive relationship between both sides which will further consolidate the impact of the brand on people. This will help to build up your brands customer retention. Also important to note is the need of promoting attractive drink-ware items. 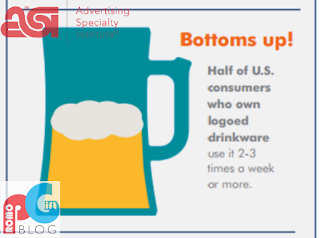 This study also found that half of U.S consumers continued to use the their branded drink-ware items 2-3 times a week. Promoting these logoed drinkware items would be a huge success for product retention and increase your product life-line. When designing the logo design, it is also important to choose a good looking design, if a product looks more appealing, the more likely the consumer will continue to use it. With this, also comes the potential of it being shown to other potential consumers, again raising brand awareness. 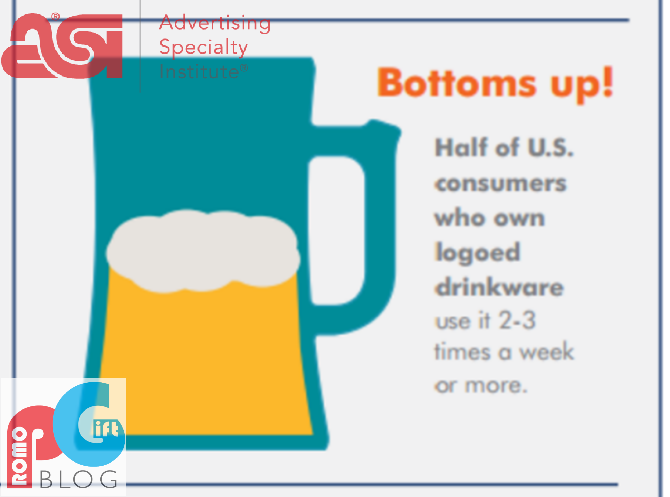 PromoGift would like to thank ASI for supplying this report, if you are interested in finding out more about U.S. Consumers Own a Lot of Drinkware please follow the attached link. Also if you would like to know more about promotional items to help market your brand then you can us contact us at PromoGift. Advertising Speciality Institute® (ASI) is the promotional product industry's largest membership organization offering media, technology, marketing and education to help cultivate success and community. To find out more please follow the link to ASI Contact Page.